The Massachusetts Department of Transportation issued a request for proposals or RFP on Nov. 13 for a Lynn Transit Action Plan Study, which will focus on strategies to enhance the quality, capacity, and reliability of public transportation for residents and local businesses in in the city of Lynn, Massachusetts. The study is designed to help the Massachusetts Bay Transportation Authority move forward with its Focus40 draft plan that detail short-, medium-, and long-term transit strategies for the city of Lynn, the Massachusetts DOT said in a statement, and it is expected to begin early next year. Focus40 is the MBTA’s 25-year investment plan for meeting the needs of the Greater Boston region in 2040 and will include opportunities to create and improve bike and pedestrian access to transit locations, possible ferry services, and existing public transportation routes, the agency noted. Many of Lynn’s 95,000 residents commute to Boston – approximately 12 miles away – or to other areas of the North Shore. The MBTA network currently serves Lynn mainly through the Commuter Rail and several bus routes, the agency said, and there us a “high level” of transit dependency in the area as MBTA passenger survey data shows between 32 percent and 44 percent of bus riders living in a household without access to a personal vehicle. 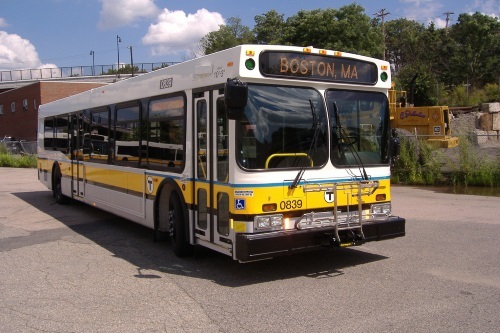 Through reliability data gathered in August and September 2018, MBTA added that nearly all regular or “non-express” bus routes serving Lynn operated below reliability targets of 75 percent. The agency also found that none of the MBTA’s 15 high-frequency “Key Bus Routes” serve Lynn and data has shown there is a need for more service during off-peak hours.